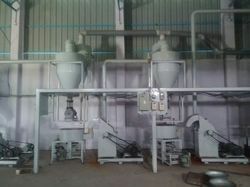 Providing you the best range of grinding plant, impact grinding plant, spice plant, automatic masala plant and automatic spice plant with effective & timely delivery. 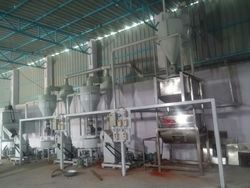 Our organization is engaged in offering optimum quality Grinding Plant to our valuable customers. 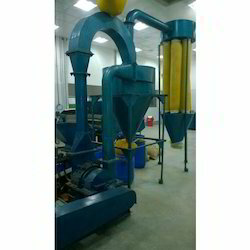 The machines, offered by us are widely used to grind ground pulses and cereals into fine powdered form known as sattu. These machines are highly demanded in the market for their rich features such as corrosion resistance, excellent performance, minimum power consumption, and easy operation. The automatic variant of Grinding Plant - Impact is superior on the performance front and is extremely reasonable on the monetary aspects. working environment. Using high speed roller mill, it can very well improve the production efficiency. 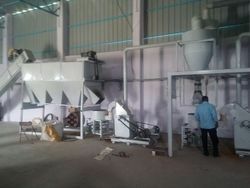 Spice Plant – Machines offered comes designed and developed using latest technology support for reliable work performance.